If you are looking for a piano tuner in Burke county, McDowell county, Caldwell or Catwba counties, and the cities of Morganton, Marion, Old Fort, Lenoir, and Hickory we can tune or repair your piano so that you can make beautiful music! Piano tuning is the single most important way to care for your piano. Changes in temperature and humidity cause the wood in the piano to swell and contract. This effects the piano tuning as it will stretch the strings and cause the piano to go out of tune. There are at least 225 strings in most pianos and the piano tuner needs to adjust each one to make sure your instrument sounds the way it is supposed to. Most notes have 3 strings which have to match each other perfectly for the note to sound right. When a piano is left for too long without a good piano tuning it may go so flat that it will need to have a "pitch raise". A pitch raise is like tuning the piano twice. The first time thru, the piano tuner brings the piano back close to where it is supposed to sound. The second time is a fine piano tuning as would be done on a regular tuning. There are over 10,000 parts in your piano and there are any number of reasons which can cause sticky keys. Some of the most common reasons are the swelling of felts from humidity, or foreign objects jamming between keys. Broken parts from age or abuse are also common. Regulation of a piano is the many adjustments made in the piano action piano which need to be made uniform throughout the piano for the pianist touch and to feel optimal control.while playing. Paul has been tuning pianos in Western North Carolina since 2002. He is the piano tuner for Burke county public schools and many area churches and private homes. Morganton's COMMA theater, The Orange Peel in Asheville, Harrah's casino in Cherokee are a few of the concert venues where he frequently tunes. Paul is also the head technician and piano rebuilder and piano restoration specialist at Piano Emporium in Asheville and Weaverville NC. In 1984, Paul entered the piano business in Jacksonville, FL, as a piano mover and apprentice piano technician. After three years of studying piano restoration, he relocated to Detroit to accept a position as head technician for one of the largest used piano stores in southeast Michigan. During those years, he honed his skills as a tuner and piano rebuilder while being avidly involved in the community as both a vocalist and as the first President of the internationally acclaimed Detroit Concert Choir. 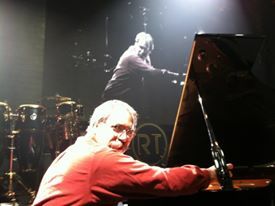 Launching his own piano service business in 1991, Paul tuned pianos for The Detroit Public School System, Wayne State University, Grosse Pointe Public schools, and numerous area churches. In 2002, Paul and his new bride moved to western North Carolina where he continues to tune and rebuild pianos. His many concert tunings have included work for Neil Sedaka, George Winston, Rickie Lee Jones, the Michigan Sinfionetta, and the Glenn Miller Orchestra. Paul is an associate member of The Piano Technicians Guild since 1997 and has been to many local and national conventions where he has attended classes and workshops which have helped to advance his skills in piano tuning, piano regulation, and piano restoration. Paul also graduated from the Little Red Schoolhouse at the Yamaha headquarters in California where he studied under the finest piano tuners and technicians that Yamaha has to offer.